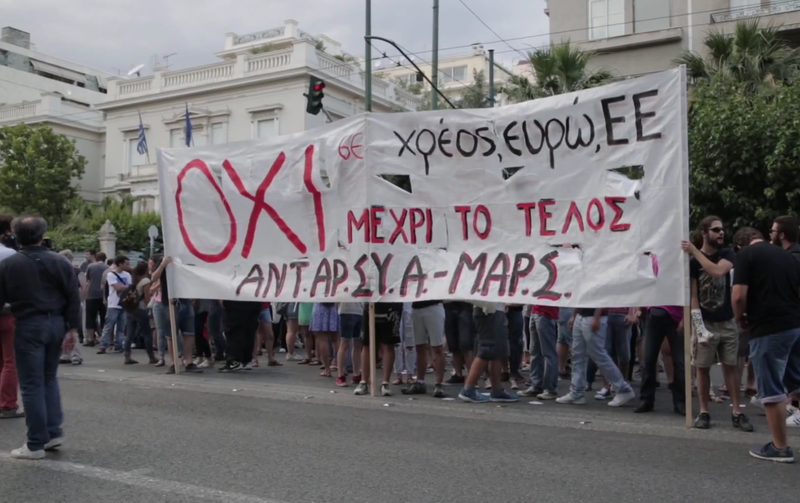 Our Brand Is Crisis: Greek Economy ‘Experiencing New Normal’! Indubitably one of the more compelling current affairs shows on a globally-syndicated television station, RT America’s Boom Bust is one of very few programmes that our Creative Director & CSO will go out of his way to record. Its unique content mixture of news, technology, economics and finance – in combination with a per-episode runtime of approximately twenty-five minutes – means that it makes for both informative and efficient viewing. Rebalance the agenda. Boom Bust is an admirably global and eclectic effort. However, it would benefit greatly from more coverage of emerging markets. The BRICS, MINT and Next Eleven countries are not just acronyms or convenient groupings: they are the likely source of most future economic growth and innovation in the medium term. Conversely, there is now little that has not been said about the essentially stale Eurozone Crisis: dwelling on the fortunes of economies of barely ten million people (such as Greece and Portugal) can scarcely be justified outside the context of contagion. Define Bianca. Bianca Facchinei is a talented young journalist whom we would like to see more of. Her Boom Bust role – presenting a short précis-style item towards the beginning of the second half of each instalment – would work better if she had an explicit remit to cover youth items; this is generally implied by much of her excellent reporting, but not consistently so. Rewind the tape. Early seasons of Boom Bust featured a funky dubstep theme tune which helped give the show its unique identity. In time, this was replaced by a power-chord heavy ditty which screams foreboding and which is inconsistent with the friendly tone of the show. Reinstating Boom Bust’s original music (or a similar variation thereof) would constitute a great step forward. Surround us with sound. Erin Ade’s brilliance as a presenter is explained not just by her ability to capture the essence of a complex idea – a quality that was in evidence earlier on in her career when Ade was a newscaster on both the Turkish-owned US network Ebru TV and ESPN Star Sports in Singapore – but her sublime use of facial expressions and gestures. These visual devices could be accompanied by Korean Broadcasting System-style sound effects that would augment the video. Relax into it. Arguably Boom Bust’s greatest USP is that it is a genuinely analytical finance show which is defined by reflection instead of hysteria. More pieces such as Erin Ade’s fantastic interviews with Manhattan Venture Partners’ Max Wolff will go a long way towards cementing its reputation as one of the more cerebral bits of programming on the international news scene. Ghost World: International Airport ‘Sold for €10,000’! 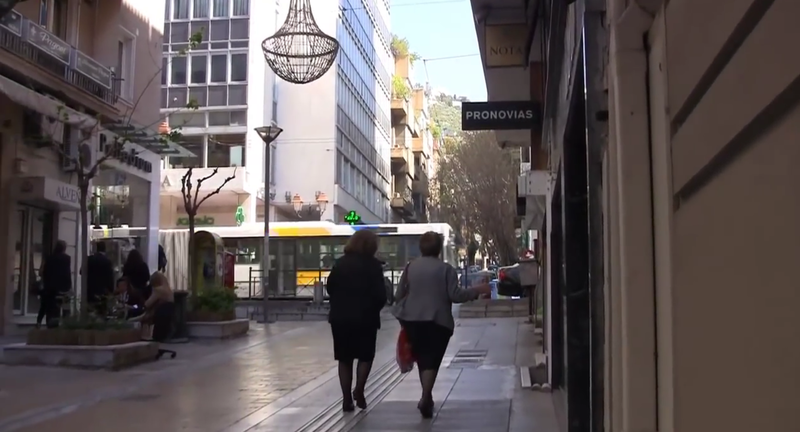 Athens, Greece: Coming to a Developed World Metropolis Near You? The latest developments in the eurozone financial crisis have seen Greece go to the polls to decide upon the acceptability of yet another loans agreement – messy small-print duly included – and much of the analysis on this topic has focused on familiar tropes: the implications of the referendum result for Greece’s continued participation in the euro; the value of that same currency; and even the possibility of the European Union losing a relatively minor but deeply symbolic member country. But it is the mundane reality of events on the ground which have got we at Mediolana in a contemplative mood. With capital controls in place to avoid the Greek economy haemorrhaging cash, international bank transfers have been suspended and imports of some basic items – including sugar, flour and pharmaceuticals – are starting to become scarce. Developments like these are introducing a whole new round of uncertainty into everyday existence. This dysfunctional world of bank runs, shortages and epic political instability may seem distant to onlookers in Northern Europe or the costal cities of the United States. But the question still needs to be asked: is Greece really as sui generis as we would like to believe? It is certainly true that it has a long history of fiscal imprudence, embedded institutional corruption and – perhaps most damningly of all – a taxation system that barely impinges on the privileged oligarchical class. It is also true that with a population of ten million people and a limited industrial or natural resources base, Greece was always going to have to punch above its weight in precisely the areas in which it has fallen short to avoid long-term decline. But there are plenty of countries (and indeed entire regions) with basic economic problems: budget deficits, political corruption and tax systems that virtually or literally subsidise the already fabulously wealthy are hardly Greek inventions. Greece may not even be the worst nation in the eurozone according to these metrics; in the world beyond the eurozone, places with all kinds of deep flaws which are anathema to high economic performance are not being forced to wrestle with austerity owing to flagging stakeholder confidence. Ten years ago this weekend, the Greek national football team won the 2004 European Nations Cup. Today, the country seems to be pioneering the ‘paupers with smartphones’ economic model, and its very viability is openly being questioned. That such a transition can happen overnight in historical terms should give those in supposedly superior polities pause for thought. Greece’s Education System: On the Slippery Slope of Volunteerism?